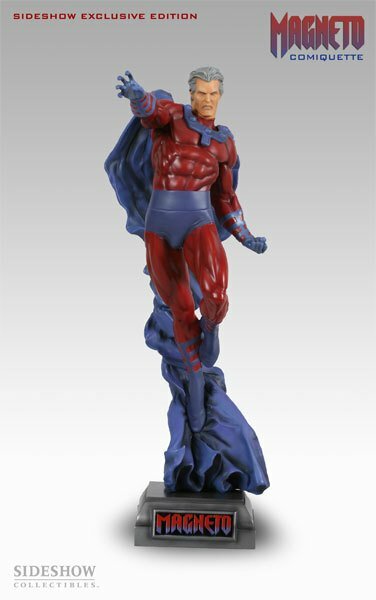 Sideshow Collectibles has captured Magneto, the Master of Magnetism, and all of his formidable power in this 18-inch tall Comiquette. 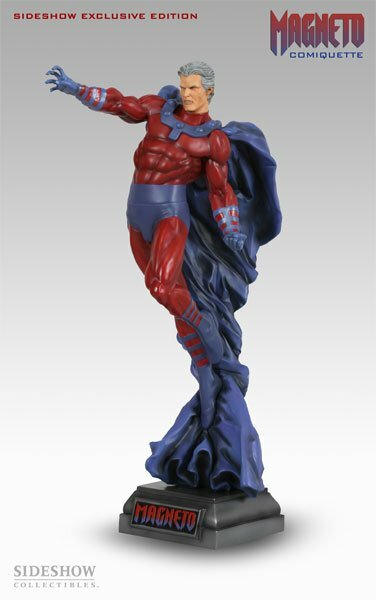 The pose is powerfully dramatic, incredibly dynamic, as Magneto rises from the ground, his cape billowing behind him, and arm outstretched as he commands any and all metal within his reach. 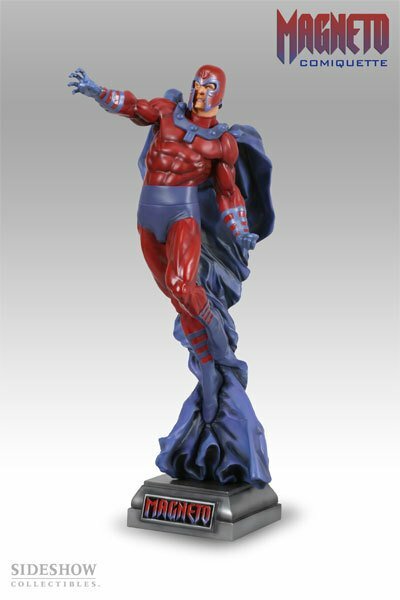 The Magneto Comiquette is cast in high-quality polystone, hand-finished and hand-painted to exacting standards. Each piece is packed in a durable foam interior, ready for safe shipment, and packaged in a beautiful full-color box. Don't miss this chance to add the Magneto Comiquette to your Marvel collection!